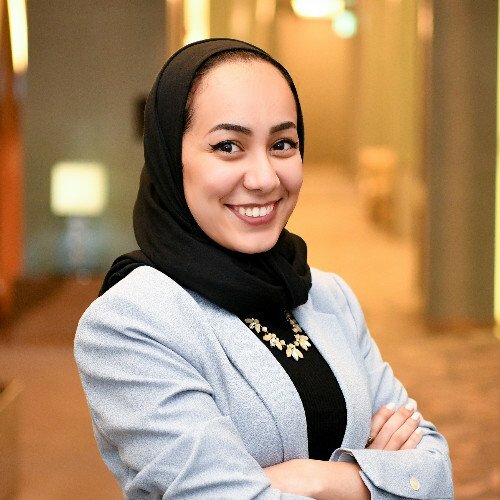 Fulbrighter | Fulbright Scholar Zahraa Dagher: "Don’t make an Awful Choice, Make A Waffle Choice: How I learned decision-making through a waffle bake sale"
7313 miles away from home, 8 hours time difference, and a long 27 hours flight across continents I arrived to my final destination, Vanderbilt University. I came here filled with aspirations for an enlightening educational journey. After all, Vanderbilt prides itself for being ranked amongst the top universities in the country with a notable 14th place in the United States. “Expecting the exceptional” was expectable. However, to my surprise, my first assignment in the United States’ 7th best Graduate School of Education was a bake sale! WHAT? Is this what I crossed continents for? I am doing a bake sale for GRAD SCHOOL? I was both astounded and amused. The waffle sale went really well, and my team won! Wohoo! While other teams made $25 on average, our waffles made a remarkable $442.56 of sweet, sweet, profit and a 97% profit margin. Back in the classroom, our professor pointed out an important point and I consider this our most important insight of the bake sale. All our choices were driven by increasing the profit margin, where the objective of our bake sale was to bring back our charities some sweet, sweet, profit. This means that our driving goal should have been the number of sweet dollars that are going to charity instead of the profit margin. Just like a waffle bake sale, business is full of choices. It is vital to make the right choices and analyze the tough decisions. What is even more compelling is choosing the right metrics to track. Those metrics need to be directly and clearly relevant to your organizational goal, otherwise, you might be making your best efforts but your best efforts are not necessarily driving the organization’s best results. In the end, I learned a waffle lot from this bake sale!